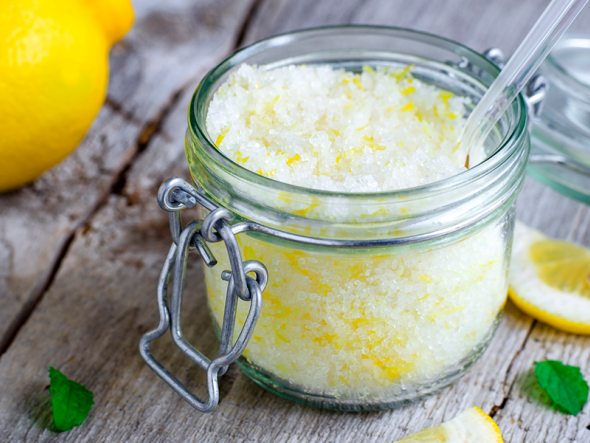 Easily scrub your way to soft and pretty feet with these delicious, DIY homemade foot scrubs worthy of any luxury spa. Life is hard, and there’s really no way to rub it better. Fortunately, the same doesn’t apply to your feet. 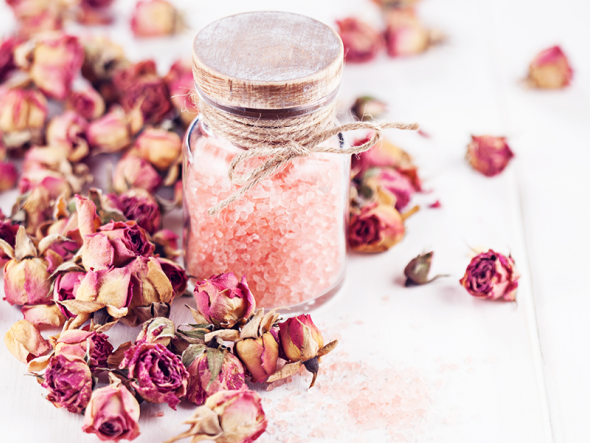 When the going gets rough and your tootsies start to accumulate hard skin, cracks and calluses, all they really need to feel happy again is a little rub with a simple, homemade foot scrub. Department store foot scrubs can cost a pretty penny, and spa treatments for your feet are even spendier. 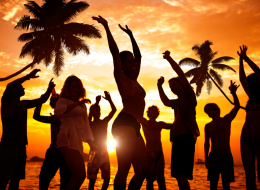 Throw into the mix that each person has different foot needs, and it’s a recipe for dry feet across the land. That’s where homemade foot scrubs come in. Not only are DIY scrubs incredibly cheap to whip up at home, they can be easily customized to fit each person’s individual foot care needs. 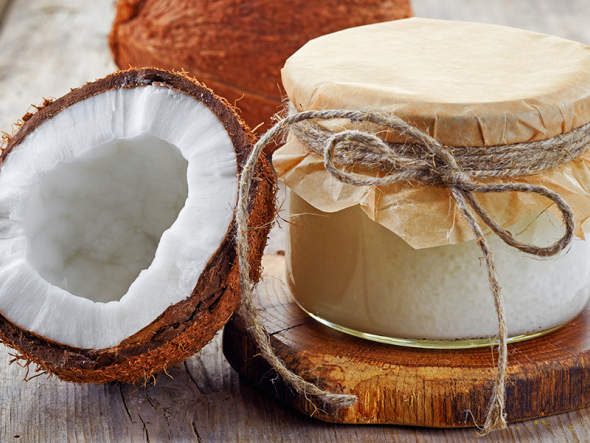 Every DIY foot scrub consists of two simple ingredients: a moisturizer, such as coconut oil, and an exfoliant, like sugar or salt. 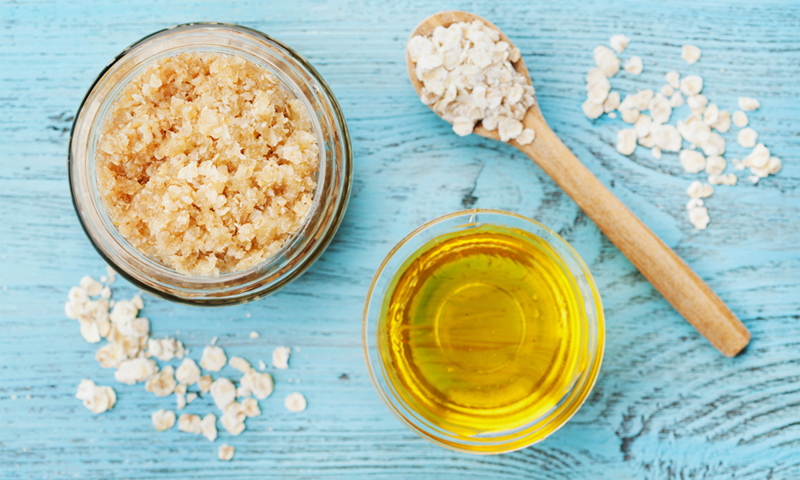 From there, everything but the kitchen sink can be mixed in to your foot scrub recipe, depending on your unique tastes and needs. 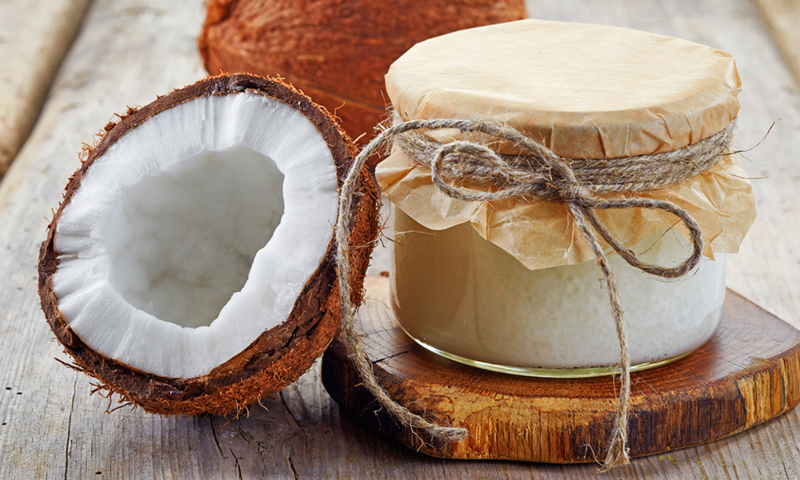 The possibilities are endless, but don’t worry — we’ve narrowed down a few of our favorite homemade foot scrubs that will have your tootsies squeaky clean, soft, smelling great and feeling brand new again. 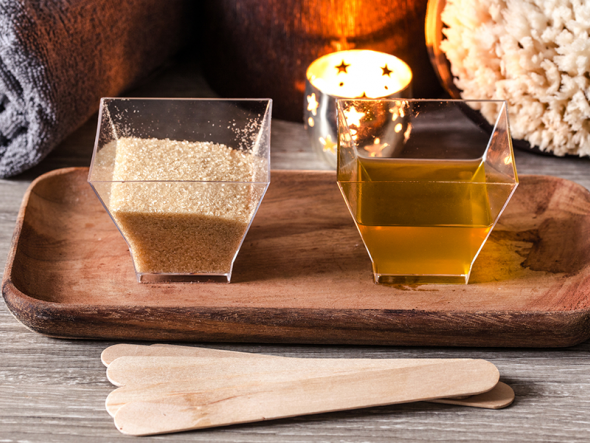 Simply follow one of the recipes in the gallery above, spend a few minutes rubbing your homemade scrub onto tired, sore feet and rinse with warm water. Ta-da: Gorgeous feet you can feel proud to show off the entire year. Foot scrub recipes included in the gallery: Brown Sugar & Olive Oil, Strawberry Sugar, Coconut Oil & Sea Salt, Rosemary, Rose Petal & Sugar, Lemon Almond, Pumpkin Pie Spice, and a Coffee & Oatmeal Pick Me Up. It sounds like a cocktail from the famed Harry’s Bar of Venice, and trust us when we tell you that your feet will be drinking up this concoction as if it is. 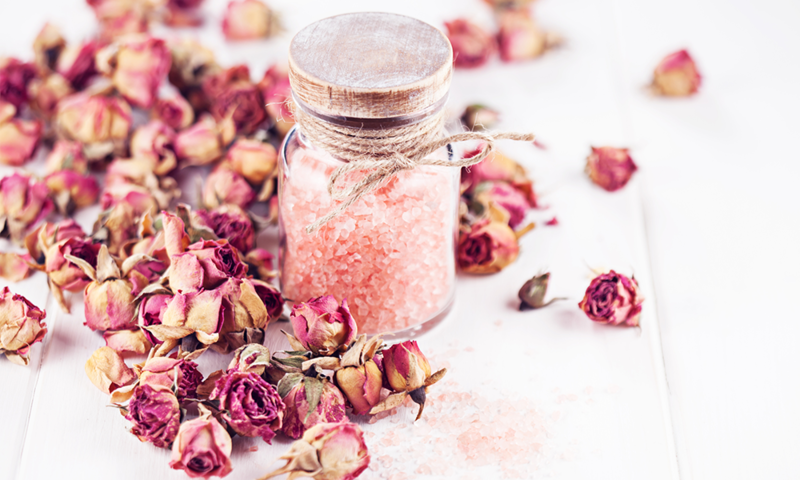 Crush together a handful each of fresh rosemary and rose petals, being sure to keep the texture rough. Mix the crushed rosemary and rose petals with half a cup of sugar and slowly pour in sesame oil until a thick, rough paste forms. Martini glass is optional! 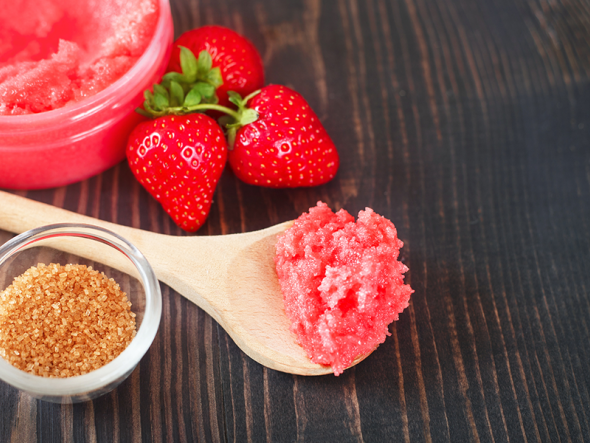 The Beatles sang about strawberry fields forever, but after using this fruity scrub, you’ll be singing about strawberry feet forever. Puree three strawberries and a tablespoon of coconut oil in a blender. Slowly stir in a half a cup of sugar and — presto! 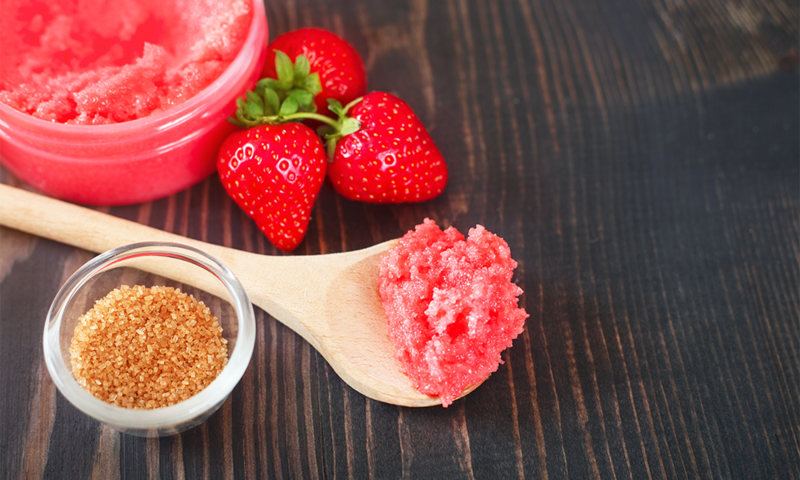 — a refreshing strawberry sugar foot scrub awaits. 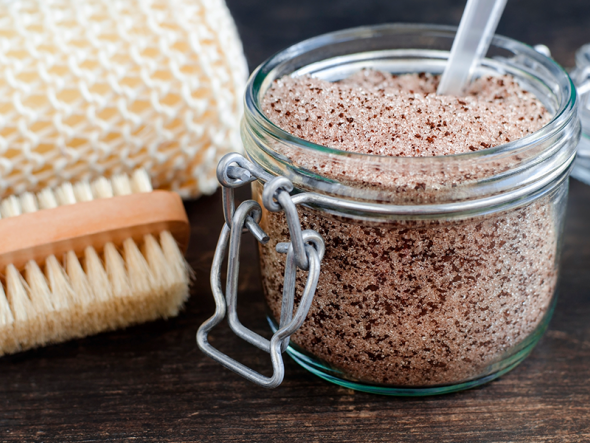 Like the sweet croon of blues singer Bessie Smith, this simple foot scrub will soothe away your foot troubles and leave your tootsies baby soft. 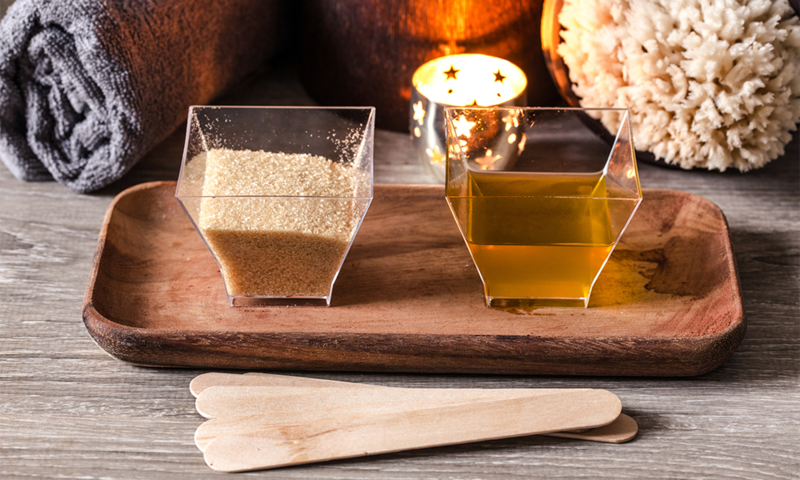 And all you have to do is mix together equal parts brown sugar, olive oil and baking soda. Voilà! It’s so good, you’ll want to eat it. 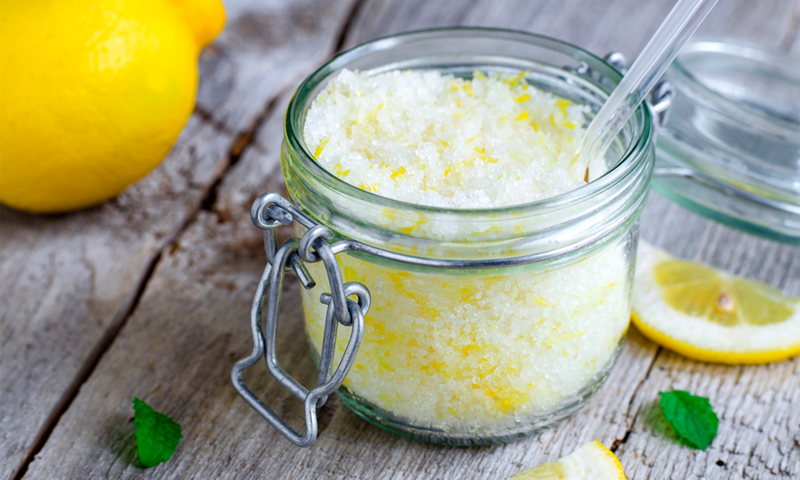 But it’s best to feed this nourishing lemon almond foot scrub to your feet, instead. 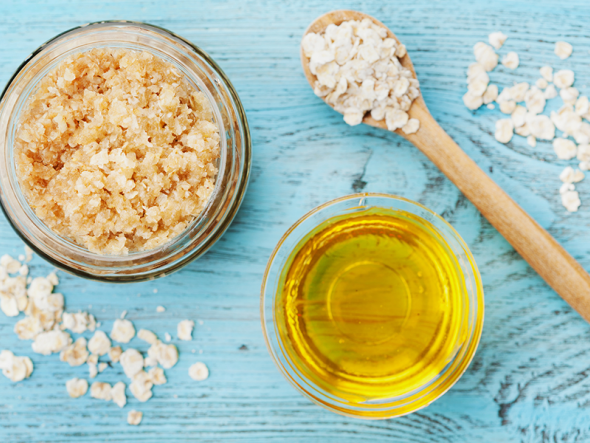 No baking required: Just mix together 1/2 of a cup of sugar, 1/4 of a cup of almond oil and 3 to 4 drops of lemon essential oil. Yummy! The pumpkin pie craze of recent years isn’t just for lattes. 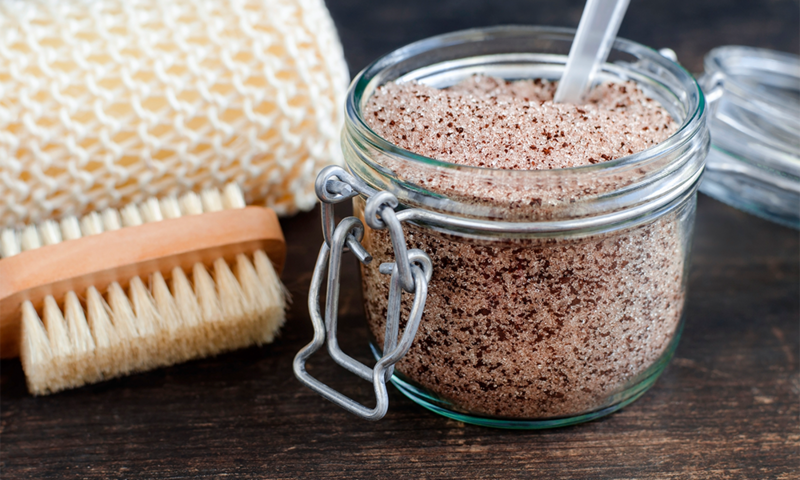 This fragrant fall scrub will have those calluses falling off like autumn leaves. And all it takes is whipping together 1 cup of brown sugar, 1/4 of a cup of white sugar, 1/2 of a teaspoon of cinnamon, 1/2 of a teaspoon of pumpkin pie spice, 1/2 of a teaspoon of nutmeg and 1/6 of a cup of almond or coconut oil (adding more if needed). Good enough to follow up Thanksgiving dinner, but better for rough and tired feet. 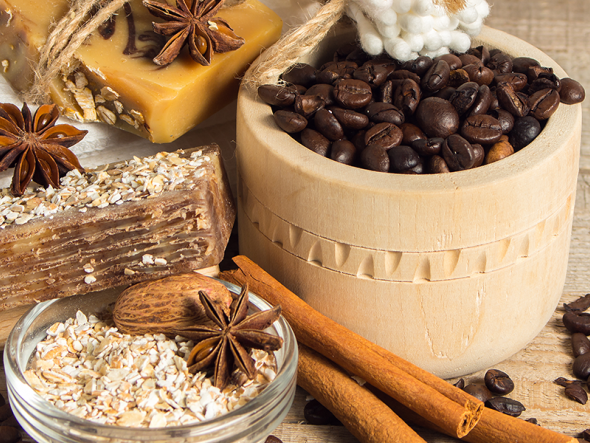 Forget Folgers in your cup: The best part of waking up is knowing that this coffee and oatmeal scrub awaits your tired feet. 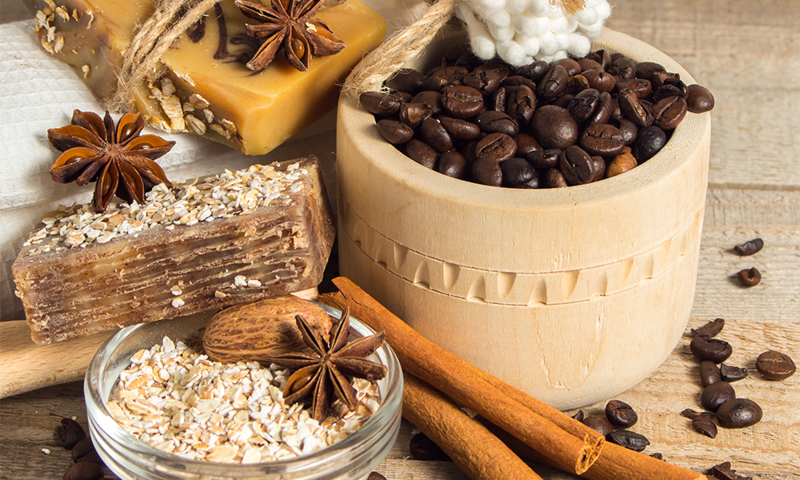 Breakfast for your soles begins by mixing 4 tablespoons of ground coffee with 3 tablespoons of uncooked oatmeal, 3 tablespoons of course salt, 3 tablespoons of almond or coconut oil and 2 drops of energy-inducing peppermint oil. Guaranteed to leave your feet ready for the day ahead! 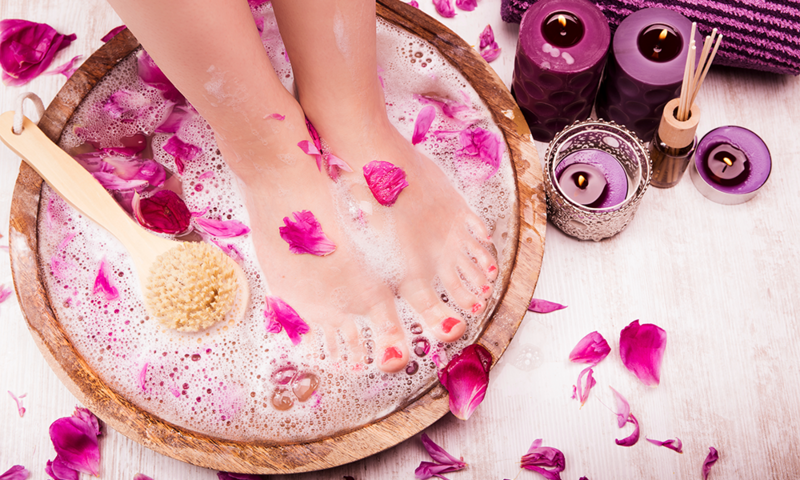 What Is A Pedicure & What Does A Pedicure Feel Like?